Rick Bava’s new book “In Search of The Baby Boomer Generation” is the definitive book about the Baby Boomer Generation. Rick nails what it was like to grow up as a baby boomer, what it is like today and what we will be facing in the near future. Rick traveled the US for two years having in-depth conversation with fellow baby boomers about all aspects of their lives. He shares the observations about baby boomer lives intermingled with sharing his own personal experience growing up and living as a baby boomer and the end result is a very enlightening and enjoyable read. I related to everything in Rick’s book and he reminds us of many things we experienced that had a lasting effect in shaping our lives from our eagerness to leave home to start our own lives which was so very different than our parents to later thinking our parents were not so out of touch after all. 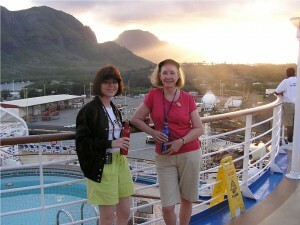 We were very much in touch with other boomers to experience life with our own mindset. He touches on the music we cherished, movies we watched, growing up with friends, college, then getting married and morphing into the corporate culture. I particularly enjoy stories about remembering our childhood days, our college days, how we met our spouses and family relations. When Rick was sharing his story about listening to the World Series on a transistor radio, I was thinking hey, that was me! We have shared a lot but we all have some Once in a Lifetime Experiences as well. That’s what makes our generation special. When we started this blog Ann and I did our fair share of telling our baby boomer stories as we called them. I loved to tell as well as hear other boomers stories from their lives. Now many of us, especially the older boomers, are retiring. We are finding new passions, starting businesses, mentoring or discovering an encore career. Some are searching for new places to live. Along the way we are trying to make new friends while staying in touch with long time friends and relatives. Baby boomers need friends. Some boomers are even dating again. A lot of this was discussed in the chapter on Social Relationships, which I particularly enjoyed. Rick shared many personal stories of our fellow baby boomers that represent what is happening in our baby boomer lives right now. Many people were hurt by the Great Recession and have a heavy load to deal with as we face the future we are transitioning into pretty fast. But Rick also gives examples of boomers who did most things right, getting an education, working hard, staying married, respecting family, saving and investing and now have the resources to live an interesting retirement. Rick then addresses issues in our immediate future that we are or will be dealing with soon. On top of our list now are retirement plans, travel, grandchildren, making new friends and connecting with old friends. Finding new passions, experiences and things to do. Taking care of parents is a responsibility many are faced with or will be soon. We are now ready to finally get our social security benefits (it is not an entitlement, we worked for it!) and sign up for Medicare. Many of us have helped settle our parents’ estates and gained valuable knowledge in doing so which we are now using to better organize our own estates. We now know how important this is to do. Rick has a positive outlook of what our baby boomer generation has accomplished and our challenging future. We have been through quite a bit and lived to tell about it! I am very impressed by the excellent job Rick Bava has done taking the reader on this journey through our past, present and future. Get the book for an enjoyable read. Rick Bava writes the column “The Baby Boomer Corner” for Today’s Senior Magazine. Robert Fowler Can I ask you something, what is definition of a Baby Boomer? Please give another explanation. Thank you! Nice review. We all had different experiences growing up, but there are certainly common threads that run through most baby boomer childhoods. Well said Robert. Rick covered it all as you mentioned. I am privileged to read what each of you wrote. As they say, we aren’t done yet. My name is Rick Bava, and I am the Author of–“In Search of the Baby Boomer Generation.” As you read this comment, you are finishing the review of my book, by Robert Fowler. I have a great deal of respect, for Robert Fowler, his work, and his contribution to the Baby Boomer Generation. That is why, it was an honor for me, that Robert took the time, to read and review the book. Continue to enjoy this blog, and Retirement Media, for Robert and his wife Mary, brings content of importance to our generation. Hi Lisa, it is a privilege to have your comment. I know you must be proud of Rick’s work. I am sure it took quite a bit of work to compile such a comprehensive work. The book was enjoyable to read. I feel like I know you and Rick’s family, brothers-parents, uncles and aunts. What a great idea and a good way to get the point across about how valuable and long lasting our family ties are. Baby boomers are not an easy profile to capture but Rick pulled it off! Thank you Ann. I couldn’t help to name drop about our glory days writing boomer stories. We had so much fun didn’t we. Thanks Suzanne. You are right, no matter the section of the country or background you come from, we share a lot. I see it at our Senior Center where I walk and talk with Don from Cleveland and Lamont from New Jersey and me from Middle Georgia. 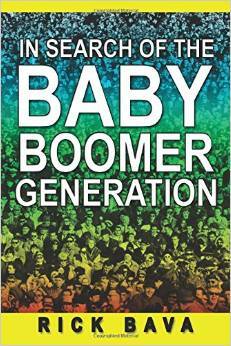 Read Rick’s book and you will know what a baby boomer is! The United States Census Bureau’s definition of baby boomer considers the baby boomer generation to be boomers born during the demographic birth boom between 1946 and 1964, the baby boomer years. World War II ended in 1945 and the next year saw a bumper crop of new born babies as the men returned home and peace broke out. Thus it was called the Baby Boomer. It lasted 19 years, this baby boomer. The babies were called baby boomers and the generation called The Baby Boomer Generation. The baby boomer generation is about 78 million strong. Now we have grown older. About 10,000 baby boomers turn age 65 every day and will for the next 19 years. Current focus of the baby boomer generation is on retirement, aging, social security, encore careers, staying active, healthy eating, life long learning, care giving to parents. Finding best places to live and retire is on the boomers list. 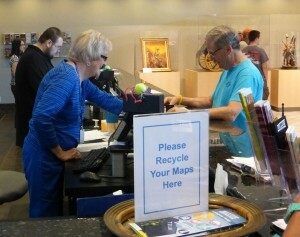 The baby boomer generation is retiring to a new phase of their lives.